Employees of Green Diamond Resource Company have a unique opportunity to reap the rewards of their efforts: a campground just for them. 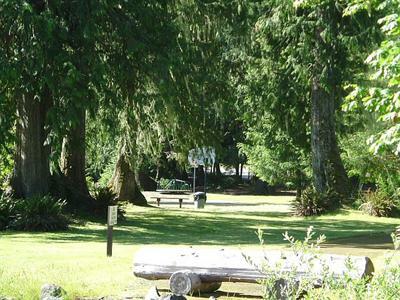 Mason Lake Camp is open to employees, retirees and guests, courtesy of the company that manages forests in California and Washington. And an exceptional campground it is, with RV and tent sites on one of the finest lakes in the area. A canopy of lush trees, glimpses of wildlife and delightful scenery provide a wondrous escape from the routine. RV sites are equipped with water and electric hookups. A gated entrance assures privacy and security. Picnic areas and barbecues provide means for great outdoor dining, and a playground keeps children happily entertained. Other amenities for a good camping experience include a dump station, Wi-Fi, firewood, showers and restrooms. For large gatherings, a pavilion with a full kitchen can be rented, and a covered picnic pavilion comes with barbecue facilities. 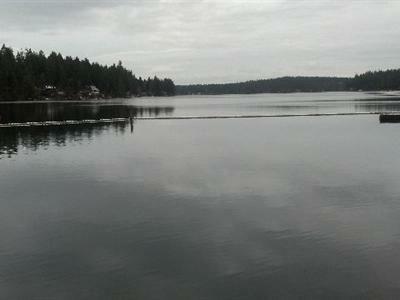 Mason Lake, the centerpiece of the campground, is an inviting body of water for boating, fishing and swimming. 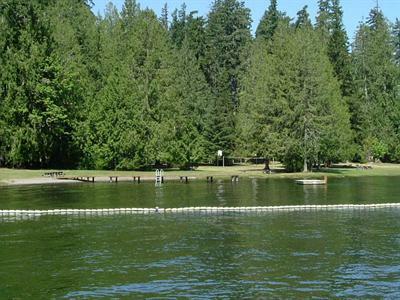 Mason Lake Camp features a beach, swim dock, boat ramp and docks. Pets are welcome and a special trail lets them explore as you do. Birdwatchers can be on the lookout for species that flock to the lake. A variety of other pursuits are close at hand--hiking, river rafting, road and mountain biking, golf and fly fishing. 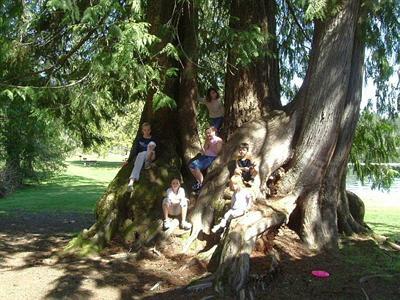 Mason County is packed with things to do, from the highs of sky diving to scuba diving deep below the water's surface. Olympic National Forest, a short distance from Mason Lake Camp, changes environments within its borders, from beaches to rain forests to mountains. It's a place rich in scenic vistas, rushing rivers, plants and wildlife. State parks, like Jarrell Cove and Twanoh, offer superb locations to participate in fishing, swimming, digging for shellfish and boating.